Every December, all units (packs, troops, crews, ships) are required to renew their affiliation with Scouting. 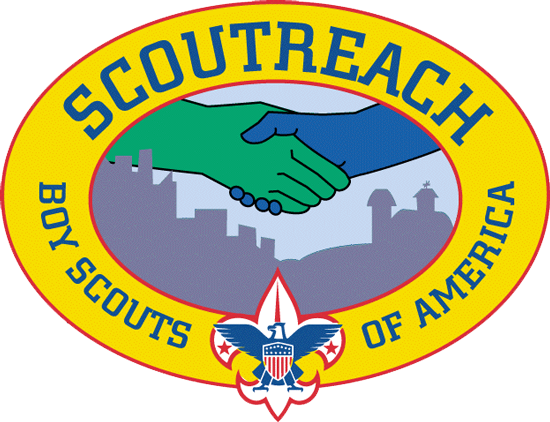 The BSA issues charters to community organizations to enable them to use the Scouting program under their own leadership as a service to their children, youth, and families. Re-chartering is the process of renewing the charter agreement between the BSA and the organization, and renewing the registration of youth and adult members. If this is your first time to be involved with recharter, or if you need to brush up on how recharter is done, please read How Recharter is Done before continuing. Doing so will help make the pointers to resources below more useful! The information in this document generally also applies to Exploring posts except that posts use a different version of the online recharter program that is found at lfl.participation.org. Recharters may be turned in at the council service center on Saturday morning from 8:00 A.M. until noon on December 8 and December 15. For questions about recharter, please contact your unit commissioner or district commissioner. Please read the entire section, even if you are experienced at rechartering. If your current charter expires December 31, 2018, you will be renewing for 2019. If your current charter expires at a later date, you will not recharter at this time. All recharters are due to council no later than December 15th. Turn in your paperwork at your district’s turn-in events or at the registration desk at the council service center. Because December 15 is a Saturday year, the council service center will be open from 8:00AM until to receive last minute turn-ins. 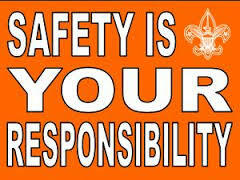 We encourage you to start now as soon as possible because the majority of all BSA units’ charters expire in December. The online system will be overloaded as December 15 approaches. There is no prize for being last! Start early! All recharters must be prepared using online internet rechartering. This is a web-based tool that allows you to add and remove members to your unit’s roster, change adult leader positions, calculate fees, and print the final roster for turn-in. Packs, troops, crews, and ships should access Internet Rechartering using My.Scouting.org or the link the rechartering resources section above. Exploring posts should access the similar tools via the lfl.participation.org website. You can access Internet Rechartering starting on November 1. Your unit’s access code for Internet rechartering this year is attached at the upper right-hand corner of the page. Remember that you are a “First Time User” the first time you log in each year even if you processed your unit’s recharter last year or if you have last year’s access code and password. (If you use last year’s access code and password, you will get an error message telling you to contact your council.) When logging in as a first-time user, use the access code, the unit type (pack, troop, etc.) and the unit number to identify yourself. You will then enter your contact information and create a password. Use the access code and the password when logging in as a “Returning User”. While you wait for Internet Rechartering to become available, gather the information that you will need to do the recharter. Are all your unit’s youth and adult members listed on the unit roster? (Use my.scouting Member Manager to find out.) Contact all your unit’s members to find out it they will renew their memberships for the coming year. If any member does not plan to continue, ask why and make a note of the reason. (Internet Rechartering will ask you why each dropping youth member is not renewing.) While you are at it, be sure all members understand the BSA and unit fees to be collected and the date by which the fees must be paid. Finally, check that top unit leader training requirements are met (item #6) and Youth Protection Training is current (item #7). Sam Houston Area Council requires the “top unit leader” named on the recharter roster to be “trained for the position”. This entails completing “position-specific training” as well as Youth Protection Training. Most position-specific training can now be completed online at My.Scouting.org EXCEPT “Introduction to Outdoor Leadership Skills” (IOLS) for Scoutmasters. The “top unit leader” is the Cubmaster, Scoutmaster, Venturing Crew Advisor, Skipper, or Advisor. See www.shac.org/training for required courses. Internet Rechartering does NOT check this requirement, so you will need to be careful to check it. New this year. Only Youth Protection Training (YPT) taken on or after February 1, 2018, will count as “current” for rechartering. All YPT (course Y01) taken prior to that date expired on September 30, 2018, without regard to the date taken. All Venturing YPT (course Y02) and Exploring YPT (course Y03) also expired on September 30 and were replaced by the new course. There is now only one YPT course (Y01) for all programs and it must be completed on or after February 1, 2018. As in the past, all adults, including Venturing youth aged 18 and over (“Venturing Participants”) must complete YPT. The registration for youth and adult members is $33/year ($2.75/month). Internet rechartering will calculate the Accident Insurance Fee ($1/registration) collected by the council. The separate powder blue “Accident Insurance Information” form is no longer used to calculate the fee. Internet rechartering will allow payment of BSA fees and the Accident Insurance Fee by credit card. (Note: BSA charges a convenience fee for credit card payment.) Units electing this option will still print out the recharter roster, get signatures, and turn it in. Units NOT electing to pay online will pay by cash, check, or unit account when turning in the signed printed roster. Internet rechartering will allow either the institution head (IH/EO) or the chartered organization representative (CR) to sign the recharter roster with an electronic signature. The unit then prints the recharter roster for turn in. The unit “Key 3” – top unit leader, committee chair, chartered organization representative – can print a current roster at any time using the Member Manager function of the my.scouting.org tools. The Key 3 may also use Training Manager to print the YPT Aging Report which will show the completion and expiration dates for adults. The Key 3 may designate up to 3 additional individuals to be able use the tools if they so choose. Contact your district’s commissioner team if you need help getting started with my.scouting.org tools. Changes in applications processed by the registrar on any given day will not be visible in my.scouting.org until the next business day. When printing the recharter roster from internet rechartering, please turn in all page that print. The printout will include lists that the registration staff needs to process your paperwork quickly and accurately! Changes to internet rechartering: BSA has announced that there will be minor changes to Internet Rechartering that will be easy to understand. While we have not seen the changes, we expect to include the following. Specifying gender for youth in all programs of Cub Scouting because girls can now join those programs. Support for the new Lion program in Cub Scouting.This includes allowing kindergarten-aged youth to be included and the Lion Guide adult position. Enforcement of current Y01 Youth Protection Training for all positions for which YPT is a membership requirement.A member who does not meet the YPT requirement will generate an ERROR in Stage 3.You will not be able to complete the recharter until either (1) the member provides proof of YPT completion or (2) the member is deleted. NEW THIS YEAR. Earlier this year, the LDS Church has announced that it will end its 106-year relationship with BSA on December 31, 2019. The Church will terminate all packs and troops that it charters on that date as it transitions to a new program for its boys and young men. Current units will continue to participate fully in Scouting until that date. BSA has announced that it will extend the expiration date of all units chartered by the LDS Church to December 31, 2019. Therefore, LDS units will not recharter. LDS units should continue to submit membership applications to make changes to their membership or to update adult positions. Remember, all recharters must be in the Cockrell Scout Center by the close of business December 15. Cockrell Scout Center registration hours are 8:00 A.M. to 4:30 P.M., Monday to Friday. Please arrive before 4:00 P.M.; the office closes at 4:30 P.M. sharp. Recharter turn-in will be available on Saturday December 8 and Saturday December 15 from 8:00 A.M. to noon at the same location -- check back here for the final schedule. We encourage you to use recharter turn-in opportunities provided by your district to save yourself a trip to the council service center. This web-based system provided by the BSA National Council helps you update your unit’s roster to correct errors for existing members, add new members, and remove members who are no longer in your unit. IR is available to you starting November 1st. Attend your district’s Recharter Workshop or see the Recharter Workshop PowerPoint tutorial linked in the "Resources" section of the recharter website for detailed information. The access code required to use internet recharter is available on a brightly colored label attached to your recharter packet. The access code changes every year - do not use last year’s code because it will attempt (and fail) to access last year’s information. Remember: You are a "first-time user" when you begin your first session for each unit every year! If you misplace your access code, contact your district commissioner. How long does internet rechartering should take? Most units should be able to complete internet rechartering in a few hours spread over at most a few days. The key is to prepare and to start internet rechartering as soon as it is available on November 1st. Begin by gathering everything needed for internet rechartering. The gathering can be done by unit committee members, or other adults. Many hands make lighter work! Which members will not be renewing their memberships and why? For any youth that you do not renew, internet rechartering will ask you why. Do any of your renewing members have new addresses, phone numbers, or email addresses? You will want to correct these in internet rechartering so that they get their Scouting communications. Email addresses are especially important as more of the administration of Scouting moves online. Are there youth or adults participating in your unit's program that are not on the roster? If so, have them complete applications and get them turned in before November 1 so that you won't have to add them as new members during recharter. Do you have new adult applications or adults who have not completed Youth Protection Training (course Y01) on or after February 1, 2018? Have them take online YPT and send you a copy of the completion certificate they receive at the end of the course. You will need to print the certificate and attach them to the paperwork that you turn in. Note that all previous YPT expired on September 30, 2018, regardless of the date taken. That means that YPT taken January 31 or else or for the Venturing (Y02) or Exploring (Y03) courses will not be valid for rechartering in 2018. Be firm if a member insists that his/her out-of-date YPT is valid; insist that they provide proof of Y01 taken on or after February 1, 2018. 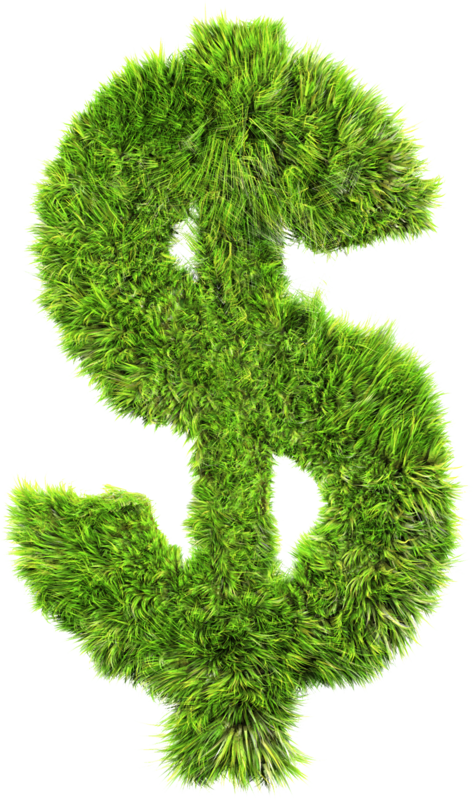 Collect fees from everyone who is renewing their membership. That's $33 BSA membership and $1 council accident insurance fee for everyone who pays their BSA membership fee in your unit. If they pay their BSA membership fee in another unit, find out where they pay because you will need to know that too. Now, armed with all the information you need, internet rechartering should be a breeze! 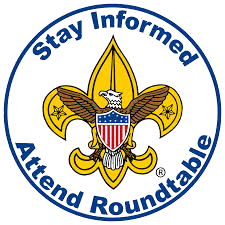 On November 1, all Sam Houston Area Council units can begin using internet rechartering. 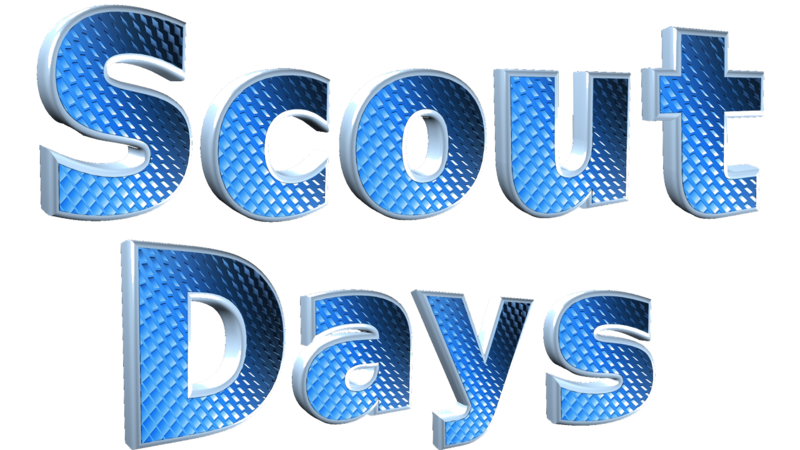 However, be aware that the vast majority of all Scouting units in the country also recharter on the same schedule. By being ready and starting right away, you will be done before the computer systems that run internet rechartering bog down with all the procrastinators who tried to wait to the last minute. There is no minimum time that you have to spend in internet rechartering. It all depends on how prepared you are and how long you delay getting started. You can turn in your paperwork as soon as you are done, assemble all the required paperwork (recharter printout, new applications, proof of YPT), get the required signatures, and have payment ready. Do this as soon as you are ready -- don't wait until December 15! The council has developed the following set of milestones for completing the five stages of internet rechartering that, if followed, should allow competition by December 15th. But you can easily do the job faster before the system slows down closer to December 15. Remember, internet rechartering is just part of the process. You aren't done until the physical paperwork is turned in to your commissioner or to the Cockrell Scout Center. Your district’s commissioner team is your first point of contact if you need help. If they don’t already know the answer to your question, they will help find it. Contact your unit commissioner or, if you do not know who your unit commissioner is, contact your district commissioner or district director or executive. Please submit your recharter on time without errors. Every hour spent by volunteers and council staff chasing down late recharters and fixing errors is one that can’t be spent helping youth. Thank You in advance for making good use of our limited resources! If you are reading this, you probably have just been asked to "recharter" your "unit" and are full of questions. You also may be a little anxious, wondering "what in the world have I gotten myself into?" because everyone else was so relieved when you agreed to do it. Unit recharter is pretty easy. If there is a hard part, it’s that some rules have to be followed for each member and that you have to finish on time. A unit is a pack, troop, crew, or ship. 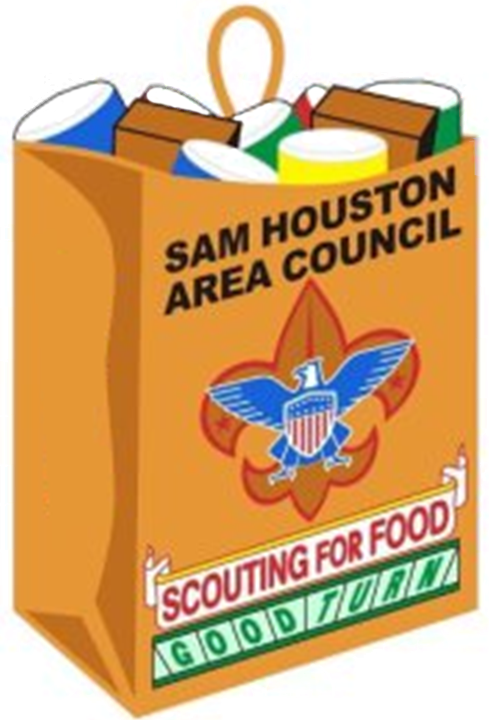 Units in our area operate under the Sam Houston Area Council (SHAC), the local operating arm of the Boy Scouts of America (BSA). 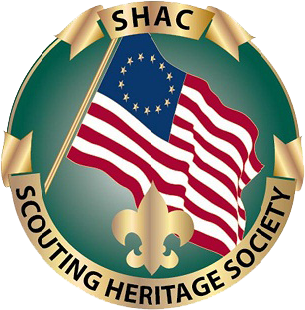 The council assigns each unit to a district, a geographic part of SHAC’s area of operations. A unit always has a unit leader who is responsible for seeing that a program is delivered to the youth members. The unit leader has a title like Advisor, Cubmaster, Scoutmaster, Coach, or Skipper. A unit has at least three adults who serve as the unit committee that supports the unit leader. 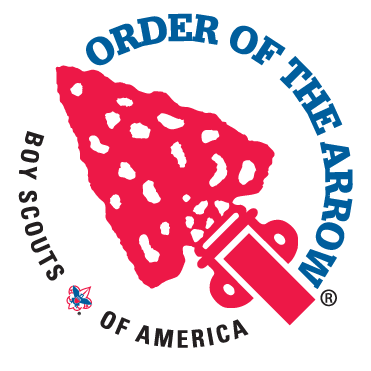 BSA issues a charter through the local council to a chartered organization, like the church or other organization that owns your unit, which allows it to use a BSA program to serve youth in its community. 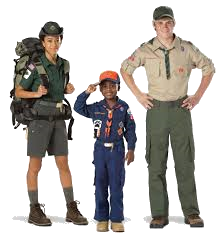 For example, a Cub Scout pack uses Cub Scouting to serve boys in the first through fifth grades. BSA requires that the charter be renewed annually to continue using the program. We call that annual renewal "recharter." What else happens during recharter? In addition to renewing the unit charter, recharter time is when all youth and adult members (leaders) renew their membership in BSA. Member renewals are most of the work. 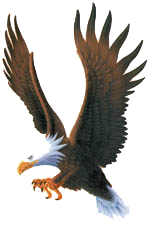 Your unit should also complete the application for the Journey To Excellence Award which must be turned in to the Cockrell Scout Center before December 31. 1. Attend your District’s Recharter Workshop. Each district should hold one or more workshops to discuss recharter. Attending it also gives you a chance to meet your commissioner team, your first line of help in case you need it. You may have received your unit’s recharter packet at the workshop. The PowerPoint presentation used at the workshop is available on the recharter website via the "Resources" section. 2. Inventory your members and collect fees. Collect BSA registration fee, Boys' Life subscription fee, and council accident insurance fee from each member that will be continuing membership. The unit’s treasurer or another leader may do the actual collection, but you must know who is renewing and any changes to their personal data (address, phone#, etc.) and, for adults, Scouting position. Involve the unit leader and committee in determining the status of those who do not respond about renewing. Get complete, new applications, including all required parts and signatures, for any new youth or adult members. 3. Required training. All adult applications must include proof of having completed Youth Protection Training Y01 on or after February 1, 2018. All YPT completed prior to that date or completion of other courses (Y02 or Y03) does not meet the YPT requirement for recharter. Internet Rechartering will enforce the YPT requirement and not permit the unit to complete recharter with an adult in a registered position without current YPT. The course can be completed online at the E-Learning Center at My.Scouting.org. Attach a copy of the training certificate to the application and the criminal background check authorization before submitting the application. Venturing crews and Sea Scout ships must assure that their youth, aged 18 and up, must be properly registered as "Venturing Participants" and meet adult YPT requirements. If youth are changed to "Venturing Participants" during recharter, the unit must submit completed adult applications and proof of Youth Protection Training course Y01 for each such youth. Internet Rechartering did not enforce the YPT requirement in 2017 for Venturing Participants. Therefore crews must take extra care to assure that these youth meet YPT requirements to avoid delays in rechartering the unit. Your top unit leader - Cubmaster, Scoutmaster, Advisor, Skipper - must have completed BSA training for their position. Internet Rechartering does not enforce this requirement so the unit must assure that it is met to avoid delay to the unit recharter. 3. Update the unit roster. The recharter process uses a unit roster in a special format to provide an updated list of members and to provide BSA with the signatures to approve the renewal. You create this roster using internet rechartering. 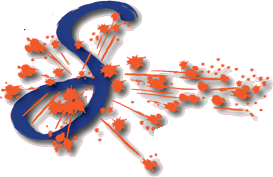 Internet rechartering will import a current roster from BSA's registration system after you first access the system. It will record any changes you make - corrections, added or deleted members - and send them to the council registration staff so they will have exactly what you want them to have! At the end of the internet rechartering process, you will print out the paper roster to use for the rest of the process. More information about IR and how to get started are on page 1. Consider the tutorial if you have not used internet rechartering before but be aware it was developed for an older version of internet rechartering and is only good as an example of the program steps. Note that internet rechartering enforces the Youth Protection Training requirement. You will not be able to go past Stage 3 (Check roster) if any adults members required to have YPT don't have current YPT on file unless you have a valid certificate in hand to turn in. This is a major change from prior years. Internet rechartering will calculate the council's Accident Insurance Fee of $1/registration. The separate form that was used in the past is no longer used. If you added any new members and want them to be members before your new charter starts January 1, collect a fee of $2.75/month/member. This is particularly important to do for youth members because they must be registered for advancement to count. 4. Obtain signatures on recharter roster. Before you turn-in your paperwork, you must get two signatures on the first page of the recharter roster. The person named as the executive officer on the roster must sign the top line for the chartered organization The person named as the unit leader (e.g., Cubmaster, Scoutmaster, Advisor, Skipper) must sign the bottom line as unit leader. 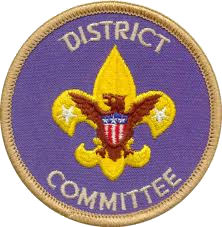 The middle line, council representative, can be completed at turn-in and will be signed by a commissioner and/or the professional Scouter responsible for supporting your unit’s district. 5. Turn in all paperwork. Take the following to turn-in: signed, updated roster, complete applications for new members, completed Accident Insurance Information form, and Journey to Excellence application. Bring your unit’s check with you to turn-in; we suggest that the amount not be filled in until someone has checked the total calculated on page 4. When your district has a turn-in, district personnel will take the paperwork to the council office if it is complete. Otherwise, your unit must turn it in at Registration in the council office at 2225 North Loop W, between 8:00 A.M. and 4:30 P.M. Monday-Friday, on or before December 15th. 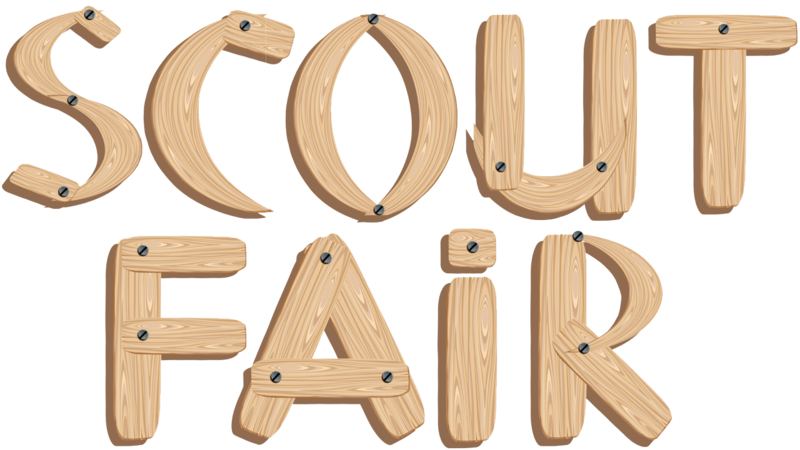 Turn-in will be available on Saturday December 8 and Saturday December 15 from 8:00 A.M. to noon at the council office registration area -- check back here for the final schedule. 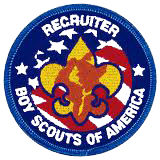 Any errors found by the registration staff after turn-in must be corrected promptly or your unit will be dropped, losing its right to use Scouting's programs to serve its youth members. For fall of 2018, the recharter packet consists of a single-sheet document containing most of the information found above in the changes and key points section. The change was driven by the availability of better online resources, changes to BSA procedures, and a desire to reduce waste. You can download the packet here if you need to. In this section are links to useful documents that may be helpful in rechartering and managing your unit. 1. Checklist: Use this list to double-check that you are ready to turn in your unit recharter. 2. 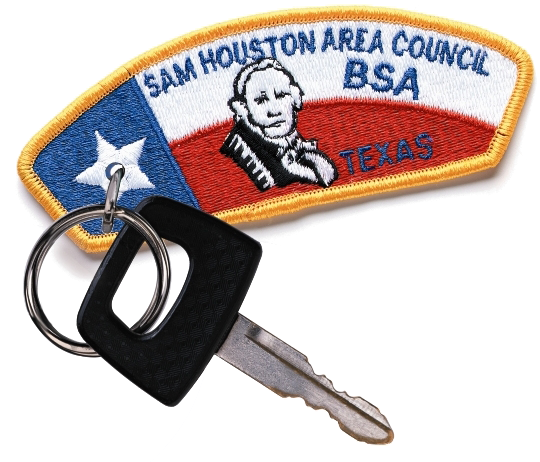 Mandatory Adult Leader Training: Sam Houston Area Council requires that all top unit leaders (i.e., cubmaster, scoutmaster, advisor, skipper) complete BSA required training for their positions prior to recharter, in addition to the mandatory Youth Protection Training required by BSA. Read this document to be sure your leaders meet standards. 5. The Facts About Applications: Learn when and how to use member applications when Rechartering. 6. Extra Applications: These are for new Scouts and Scouters. Make sure to have proper signatures both adults and youth. 7. Unit Budget Plan: Provides a basic budget for your unit. 8. Membership Inventory: Procedure for a membership checkup. 9. Uniform Inspection: PDF files containing the current adult and uniform inspection sheets are downloaded directly from the National Council forms page. 10. Telephone Reference Check for New Volunteer Leaders: Use this checklist to check references for volunteers that you are adding to your unit's roster. 11. Risk Management Checklist: For unit program planning. 12. Journey To Excellence Scorecard is used to determine whether units meet Journey To Excellence requirements. Use forms for the 2018 year in the "Scorecards" section of this page. There is a separate form for each type of unit: pack, troop, crew, ship. There is a tracking workbook for each type of unit under "Tracking Workbooks" in the "Unit Tools" section of this page. Are Tiger Cub partners a registered leader? No. A Tiger Cub adult partner is not a registered adult leader even though it is listed as a position in the "add adult" and "update adult" screens in internet rechartering as a convenience. However, they may be registered in any adult leader position in addition to being a Tiger Cub adult partner. They pay the $1 per person council insurance fee but do not pay a BSA membership fee. They are encouraged, but not required, to complete Youth Protection Training (Y01). Why is there an "Allow one week for your latest applications to be entered."? This allows time for the council registration staff to enter the applications into ScoutNet and be available in internet rechartering. It usually won't take that long. Use my.scouting's Member Manager to verify that the changes requested have been made. Does internet rechartering have a way to recognize bogus phone numbers, or other numbers? What levels of encryption are deployed in internet rechartering? How safe is our personal information? 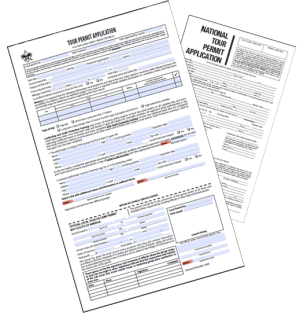 The form contains social security numbers and driver license numbers. This data must be protected to the highest level. Does a leader need a new application for each time they change their job responsibility in the unit or when they gain a new job responsibility in another unit? The unit should submit a new application immediately when the change is made so that the leader receives communications appropriate to their position and so that there is a record that the chartered organization has approved the change. However, at recharter time only, the position may be changed in ScoutNet without an application because we have all the personal information, and the IH signature on the roster approves the position change. For example: when a change in a unit's top leadership positions occur, the unit should send in a new adult leader application(s) to record those changes immediately to SHAC. Don't wait until recharter time. In the case of an adult changing units (or staying in one unit and adding another job responsibility in another unit), an adult leader application is always required. As a reminder, any new adult leader must fill out a BSA application and it is to be turned into SHAC, regardless of the timing of the unit's charter renewal date. Don't forget that there are three parts to a complete adult application: (1) the application itself with signatures of the applicant, the committee chair, and the chartered organization, (2) the criminal background check authorization signed by the applicant, and (3) a copy of the applicant's Youth Protection Training course completion certificate. Are Tiger Cub adult partners considered "adult members of the unit?" Tiger Cub adult partners are not registered leaders. They do not have to pay a BSA membership fee. They do not have to take Youth Protection Training although it is highly recommended that they do so. They do pay the $1 council accident insurance fee but only once if they are registered in a leader position. Does the ScoutNet keep up with individuals who are in multiple units and as such are wearing multiple hats? Does a person pay for primary membership in each unit or just once for being in BSA? A person is only required to pay once for BSA membership. 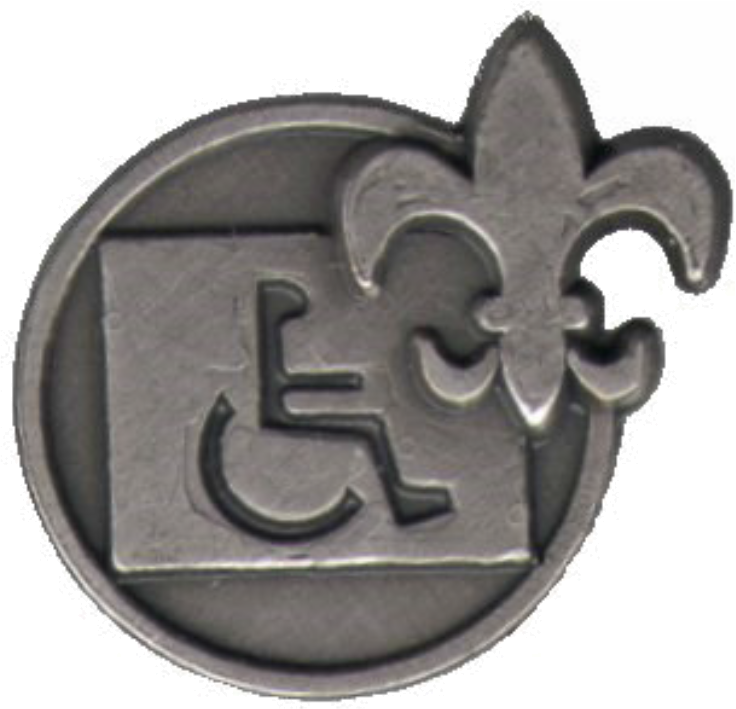 The unit through which the person pays BSA membership is called the "primary" membership. All other, unpaid memberships are called "multiple" memberships. Only the primary membership is assessed the $1 council accident insurance fee. When a youth reaches adult age, can the youth be moved to adult area without having to delete and reenter data? Yes. An adult application will be required. If a unit has loaded the council information and has a youth member who is 18 (or 21 for Venturing) and cannot be renewed as a youth member, then that member may be "promoted" in the Promote screens. This will save re-entering much data. Remember that the adult application will require the applicant's social security number, the criminal background check authorization form, and Youth Protection Training completion certificate before it can be processed. What happens if I discover I don't have some information I need to complete the recharter? You may continue to enter the information you do have. You may close out and it will save the information you have entered. Make notes of what you need, then go get it. When you have more information, you can go back to the appropriate pages and enter the new information. You may stop and start as often as you need. Remember that the "Select members for renewal" step of Stage 2 (update roster) has an "update roster now" button. Clicking this button updates YPT completion information and should add to your internet rechartering workspace any new members that were registered after you completed Stage 1 (load roster). What happens if there is a change after I have printed out the recharter form? Once you click the "Submit to Council" button in Stage 5, you cannot make any further changes online. If you need to make a correction or addition after this point, make the change manually on the updated recharter roster that you printed from internet rechartering. Use black or blue ballpoint pen to draw a single line through information to be changed and, very neatly, write in the change. Be careful not to obliterate the information that you are changing because registration personnel must be able to read what is being changed so that they can make the change. Be sure to attach complete applications for any new members that you add. Write the names of added new members in the appropriate "new member" (adult or youth) list printed out by internet rechartering. Can you pay insurance online with a credit card? Effective fall 2017, internet rechartering will calculate the council accident insurance fee and add it to the total owed. A new step, just prior to the "submit to council" step will allow the total owed to be paid by credit card. The National Council will charge a 3% convenience fee for this service. After paying, the unit will still proceed with the "submit to council" step, print the "recharter renewal report", and get any remaining signatures. The "recharter renewal report" will show that credit card payment was made. Units that do not want to pay by credit card can still pay by check, cash, or unit account as they have in the past. When is the effective date of the recharter? The date signed or the date/time submitted? The effective date of the recharter is the day after the old charter expires. Because charters expire on the last day of a month, the new charter will be effective on the first day of the following month. Because all Sam Houston Area Council charters expire on December 31, the effective date of all recharters is January 1 of the next year. The date that the recharter is "received" for on-time recharter purposes is the date when the signed paperwork and checks are received at the SHAC counter. If it is necessary to add a new youth/adult after Internet rechartering has been submitted to the council, how is the information added and how are fees handled? For a new youth/adult, an application must be obtained. Write it on the charter in the new youth or new adult sections of the printout, as appropriate. Include fees for both this year ($2.75/mo) and next year ($33.00 + Boys' Life, if subscribing). Note that, if you have already turned in the signed recharter, you submit the applications and fees to the council service center as you normally do. Will we be moving towards a point where signatures can also be generated electronically? Starting fall 2017, internet rechartering will have the ability to allow the Executive Officer/Institutional Head or the Chartered Organization Representative to sign the updated roster electronically. The signature must occur before the "submit to council" button is clicked. This is the only electronic signature mentioned. Earlier in 2017, online membership applications were introduced that route from the applicant to the appropriate unit leaders for approval. Are we allowed to make changes via internet rechartering throughout the year as new boys/adults are added or removed? No, the internet rechartering process is just for the annual renewal. And changes cannot be made at recharter after the "Submit to Council" button is clicked in Stage 5. Timely submission of new youth and adult applications to the council service center throughout the year will keep the charter information current. The unit "key 3" - chartered organization representative, committee chair, and top unit leader (CM, SM, NA, SK) - can obtain current rosters at any time using my.scouting's Member Manager. Will we be able to prepare paperwork for new unit start-ups via the recharter process? No. Internet Rechartering is only for charter renewal. New charters cannot be established through Internet Rechartering. Internet Rechartering is for traditional units only - packs, troops, crews and ships. You need the individual applications anyhow, so the council does all that work for you. What is a UMS software package? UMS means Unit Management System and is a software package used to manage the unit roster, member advancements, etc. Three UMS packages have worked with BSA to be able to accept data from ScoutNet and to be able to upload UMS data into ScoutNet for recharter. These are: TroopMaster (tm) and PackMaster (tm) from TroopMaster Software, Inc., and TroopSoft (tm) (formerly ScoutSoft (tm)) from SBF Publication Company. Two other UMS packages from different providers that were certified to work with ScoutNet are no longer available. The council does NOT recommend uploading UMS data to Internet Rechartering. Will ScoutNet download information to a UMS software package? Yes, have the registered committee chair or unit leader (Cubmaster, Scoutmaster, Venturing Advisor, or Skipper) send an email to margarita.bernal@shac.org requesting their Scoutnet data in order to upload into a UMS system. However, this should only be done by units that are not currently using a UMS system. If a troop or pack has already been using a UMS software package to manage their unit's advancement/membership, downloading current ScoutNet data will create duplicate records in the UMS for all members already in the UMS or will have other undesirable side effects. If a unit intends to begin using a UMS, the unit should purchase a brand new UMS software package and start with a ScoutNet download - it helps when going back into the internet rechartering program. Why does the council recommend against uploading UMS data in Stage 1 of internet rechartering? There are two reasons: accuracy of BSA registration data and extra effort for the unit and council / district volunteers and professionals supporting recharter. Most units using UMS software begin using it without obtaining a download of ScoutNet data to initialize their new system. Also, many units use nicknames for Scouts and Scouters in the name fields rather than the full legal name and have had other errors accumulate in their UMS data. When UMS data is uploaded into internet rechartering, the UMS data will completely replace the information contained in ScoutNet. Any nicknames and other errors will be put into BSA's registration data. We feel that there is less chance of an error being inadvertently put into internet rechartering if someone is looking at each member and making any corrections. The first time a unit attempts to upload UMS data is usually quite difficult and, if the unit has waited until the last minute to start trying to upload, quite stressful on the unit and supporting council / district personnel. Internet rechartering attempts to match each member record from the UMS data with a member record in the unit's Scoutnet data. Internet rechartering makes the match effortlessly when the name and birthdate match exactly. Otherwise, internet rechartering goes through the entire set of unmatched records asking you to point out the corresponding ScoutNet record. This can be a very time-consuming process for a large unit (we have seen 75 members fail to match in a first time "uploader"). In summary, UMS is a useful tool for managing a unit. However, it is a useful tool for recharter if, and only if, the unit has an absolute commitment to maintaining its UMS data to a very high degree of accuracy. Are there any other issues with using UMS for recharter? These programs assume all current members will re-register. You must remember to un-check any who will not re-register. If you make a mistake and send the data through for a member that you didn't want to recharter, you can delete the member in internet rechartering after the upload process is completed. How do I upload UMS data into internet rechartering? PackMaster TM / TroopMaster TM - If you decide to use either of these software programs, you must run the Recharter report (found using the pathway REPORTS:SCOUT/UNIT GENERAL:COUNCIL RECHARTER:ANNUAL RECHARTER) in order to create the file necessary in internet rechartering. 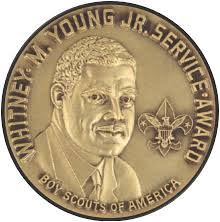 The programs may refer to it as the "diskette" because that was the way BSA intended to transfer the data when it redesigned ScoutNet in the late 1990's. Just create the file on your hard drive and remember where it is. Then go to that location when internet rechartering asks to locate your UMS data. For questions, contact your unit commissioner, district commissioner or district director or executive.